Recent news report improvements in the regulatory framework of medication errors from both sides of the Atlantic: North America from Health Canada, and Europe by the Council of Europe. These initiatives are in addition to others already taken by medicines agencies on each of the continents. On June 30, 2016 Health Canada released new guidance for industry that will make product labels and packages easier for consumers and health professionals to read and understand. The intent of increasing clarity of labels is to reduce the risk of confusion, harmful errors and adverse reactions. To support the implementation of Health Canada's Plain Language Labelling Initiative, two Good Label and Package Practices Guides have been developed to provide direction to industry on the design of safe and clear health product labels. Both guides were developed in collaboration with the Institute for Safe Medication Practices (ISMP) Canada and in consultation with stakeholders, including healthcare professionals, patient groups and industry. 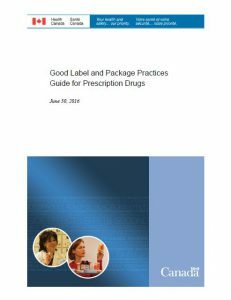 The Good Label and Package Practices Guide for Prescription Drugs is applicable to prescription pharmaceuticals, biologics and radiopharmaceuticals and drugs that are permitted to be sold without a prescription but that are obtained or administered only under the direction of a healthcare professional. The Good Label and Package Practices Guide for Non-prescription Drugs and Natural Health Products contains information regarding the specifications for the Drug Facts table. Although the PLL regulations do not apply to natural health products (NHPS), the guide offers direction to companies as best practices. “Clear, easy-to-understand labels and packages are essential for using medications safely and avoiding harm. I'm pleased to have worked closely with Health Canada and the members of the expert panel to develop the guides, which I think will go a long way to improving health product labels and packages in Canada.” said David U, President and Chief Executive Officer, Institute for Safe Medication Practices Canada. Resolution CM/Res(2016)2 on good reconstitution practices in health care establishments for medicinal products for parenteral use recommends that Member States parties to the European Pharmacopoeia Convention implement measures to guarantee that best practices are in place in health care establishments for the reconstitution of a medicinal product into a ready-to-use or ready-to-administer dosage form. 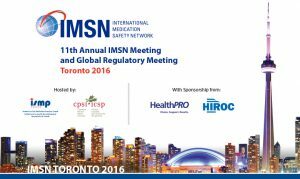 Resolution CM/Res(2016)1 on the quality and safety assurance requirements for medicinal products prepared in pharmacies for the special needs of patients is an amendment to Resolution CM/ResAP(2011)1 ensuring consistency with the provisions of Resolution CM/Res(2016)2 relating to medication reconstitution. Resolution CM/Res(2016)1 recommends that Member States parties to the European Pharmacopoeia Convention implement measures to avoid quality and safety gaps between medicinal products prepared in pharmacies and those prepared on an industrial scale. The ultimate goals of these resolutions are to promote public health through the harmonisation of requirements for medicinal preparations, support health professionals with appropriate guidance to prevent risk of health damage caused by drug preparation errors, and ensure that patient needs are fully met. On this side of the Atlantic too, an article published in June 2016 and written by the Medicines Pharmacovigilance Division of the European Medicines Agency (EMA), described the key concepts of the European Unit good practice guidance for defining, classifying, coding, reporting, evaluating and preventing medication errors. Goedecke T, Ord K, Newbould V, Brosch S, Arlett P. Medication Errors: New EU Good Practice Guide on Risk Minimisation and Error Prevention. Drug Saf. 2016; 39 (6): 491-500. The EMA instructed the Drug Information Association to arrange an Information Day on Medication Errors on 20th October 2016 aiming to provide an opportunity for regulators, patients, healthcare professionals and industry to discuss first European experience with the new Good Practice Guide (GPG) on Medication Errors released in November 2015. This entry was posted in Uncategorized on July 18, 2016 by Étienne Schmitt.